Cool Hand Burg: More convenient than what? 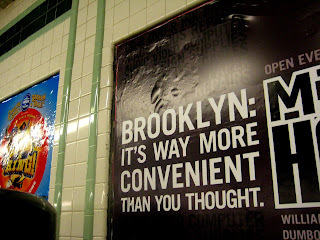 I know it's a computer store ad, but it really makes it sound like there's some big rumor running around the city that Brooklyn is inconvenient. But to what? How? Why? I'm pretty tempted to call the store and ask . . .